Italians go to the polls on Sunday to vote on proposed changes to the country's constitution. On the face of it, the reforms have little to do with the country's banking system, which is in dire need of repair. But if Prime Minister Matteo Renzi loses the referendum and resigns -- as he has threatened -- investors may take fright at the political turmoil and demand a much higher price for providing the money some banks urgently need. A few may be unable to pay that price, or indeed find willing backers, leaving them in need of a state bailout. With more bank branches than pizzerias, according to the OECD, Italy's banks have been struggling with high costs and low returns for years. 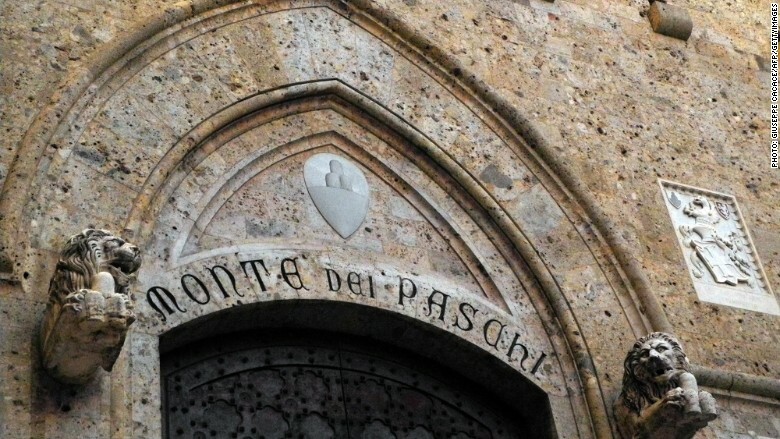 Add to that $380 billion of non-performing loans accumulated during years of recession and stagnation, and analysts say a time bomb is ticking with several institutions staring into the abyss -- including the world's oldest operating bank, Monte dei Paschi di Siena (BMDPF). Italy's third biggest bank is trying to raise 5 billion euros after it failed a European Central Bank stress test this year. Renzi has already tried to help struggling banks by creating a rescue fund -- Atlante -- backed by some of the country's stronger lenders and insurers. The idea is that Atlante acts as an investor of last resort. But it's been hard to find investors willing to put money into Atlante, given the sector's huge overhang of bad debts, equivalent to a third of the eurozone total. There's another problem. European Union rules mean Renzi can't organize a full scale bailout without forcing bond holders to take a hit too. In drafting the rules, the EU wanted to share the cost of bank rescues more evenly between investors and taxpayers. Any state bailout is political dynamite in a country where mom and pop savers reportedly own $250 billion worth of bank bonds. According to a 2010 report by financial regulator Consob, Italians have the highest share of household wealth invested in bank bonds in the developed world..
That's a legacy of the global financial crisis -- Italian banks sold €350 billion worth of bonds to small savers between July 2006 and June 2009. Even if Italians approve their leader's planned changes, the banks are not out of the woods yet. 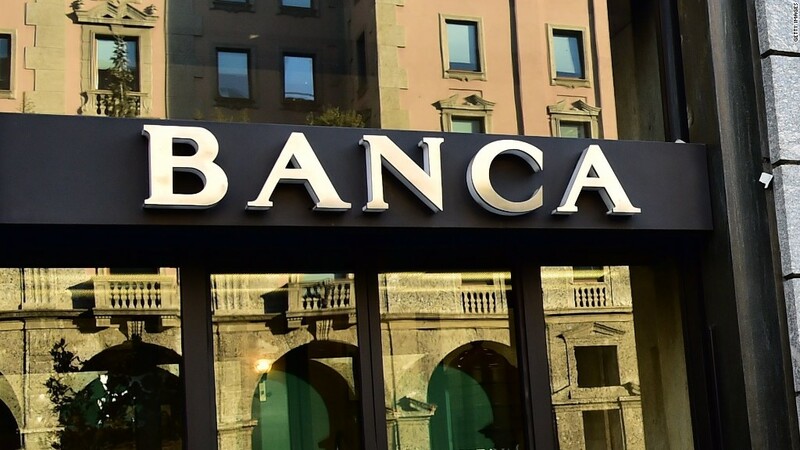 "Regardless of whether we get a yes or a no vote, Italian banks are in very poor shape and they are going to have to have a period of intense and painful reconstruction going forward," said City Index's research director Kathleen Brooks. For now, Italy may try to muddle through. But with 17% of its banks' loans souring fast, and state finances burdened by a debt pile already worth 133% of GDP, Italy's financial sector could prove too big to save.